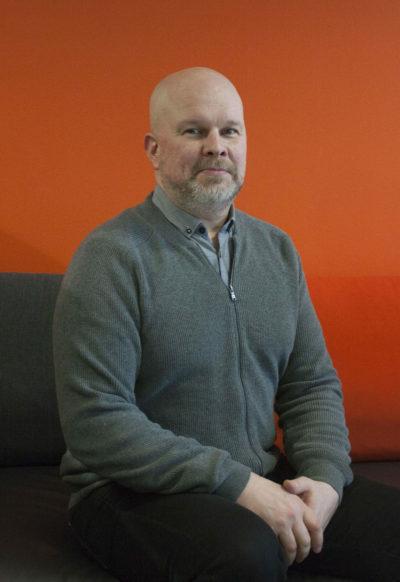 Construction engineer Mika Malkki took on his position as Finnoo station’s Construction Manager on 11 February 2019. Construction Manager Malkki’s key goal is to ensure that Finnoo station is built in line with cost, time and quality targets. “Work began in the first week with a brisk introduction to the overall project and I also got to visit the worksite during the first few days,” Malkki says. In his previous job at the City of Helsinki Urban Environment Division Malkki became familiar with the construction phase of the Lauttasaari station. Now, he himself is responsible for the construction of a new metro station. “When the opportunity to become involved in the project came up, my interest was immediately aroused. This is a completely unique project and a new challenge for me personally,” Malkki says. Malkki’s experience in the municipal sector goes back a long way: he has worked extensively in construction and supervisory jobs for the Helsinki, Varkaus and Vihti municipalities. Some of the most recent projects headed by Malkki include the Myllypuro campus for the Helsinki Metropolia University of Applied Sciences, Alppila upper secondary school and the construction of an extension to the Kalasatama school. “Building the station is very similar to the projects I’ve been involved with previously. There are, of course, many more technical systems in a metro, but I’m excited to learn,” says Malkki. “Working in the big room has impressed me with its efficiency right from the start. Especially the war room where we monitor the project’s progress and costs is clearly a unique operating model,” Malkki concludes.